Whew! Fiatcso was finally able to go home. After a little switch of the broken element in the client's vehicle, all the lights are once again working. That is a good reminder that is is not always the wiring in the trailer itself. When you have tried everything, look to the simple solution. Foreign cars that need a special adapter to be hooked to trailers can be the culprit. It was for the best we think, since now the faulty car part has been replaced, and it is now the perfect blue sky day for a long drive! 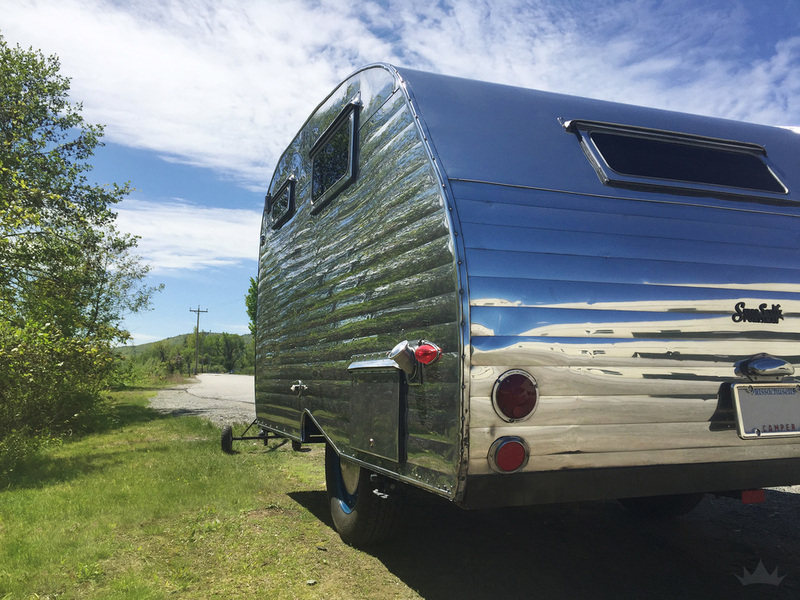 The original side panels, made of aluminum, polished up beautifully. The tinted windows highlight their cool shape and add some depth to the exterior, matching the now black tongue. 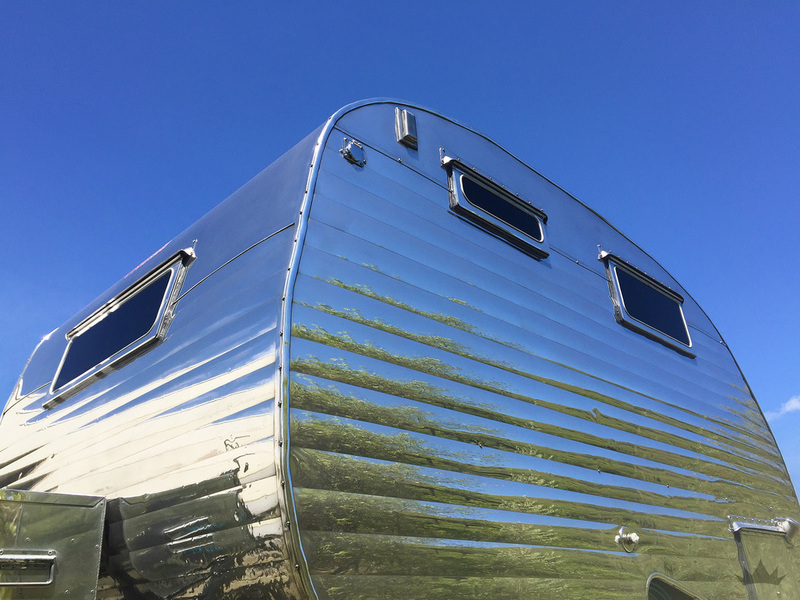 Fun Fact: They are the same type of windows found on our own Suzie Q Airstream. The real highlight of this project how the vintage box came out. Using belts as straps we fastened it down to secure it and mimic the classic strapped suitcase look. 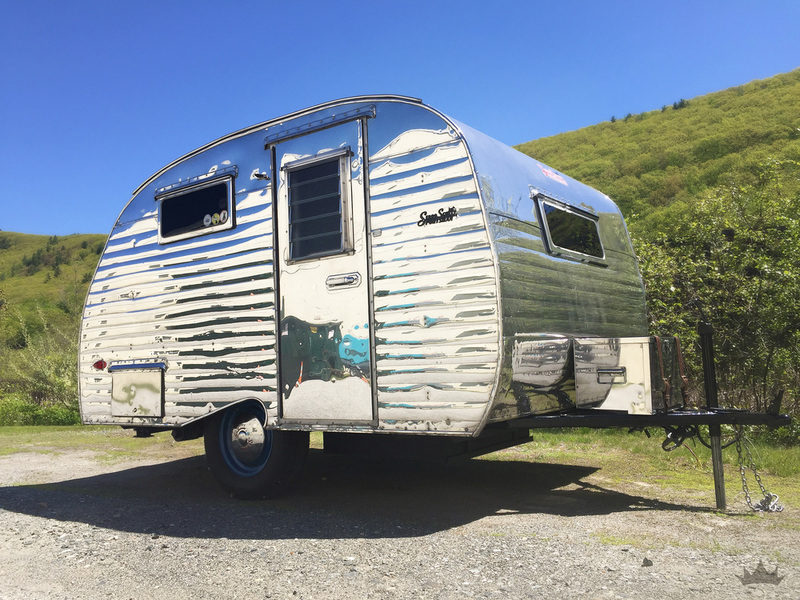 It was nice to have such a tiny trailer in the shop, so we may be revisiting this model for restorations in the future. You never know!